Of course, he talks about it as avoiding the perfect product syndrome. And aiming for the perfect client experience. But it’s the same thing. In this video he also describes Sideways Sales Letters — the key to selling almost anything on the Internet in today’s world. Sideways Sales Letters — the key to selling almost anything on the Internet in today’s world. You’ll learn about his 10-day launch sequence featuring four videos: three informative videos and a final sales video. Video 1: Features the opportunity to make a transformation in whatever field you write about. This video defines a problem and shares a real solution. You have to offer real value here. Video 2: Makes it real by telling stories of transformation (case studies). Again, offer real value as you solve another problem for the viewers. In Jeff’s new video, he’ll talk about Seed Launches, Joint Venture Launches, and Launch Stacking (cool stuff here!). 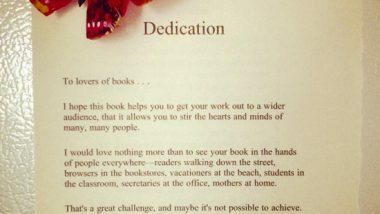 The Seed Launch is the launch where you can start with no list and no product (your book isn’t quite finished), and use the launch to get paid to finish writing your book because people have already bought it! Video 3: Features the ownership experience, what it’s like to actually solve problems using the solutions you provide. Give the viewers a real experience of solving yet another problem. Video 4: The sales video showing how your book (product) solves the ultimate problem the reader has. Out of the 20 mental triggers Jeff has identified (mental triggers that cause people to take action), he shares seven of them: community, anticipation, authority, reciprocity, social proof, scarcity, and conversation. 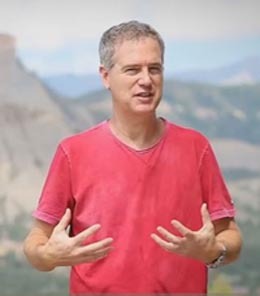 In a new video, Jeff Walker identifies 7 of the mental triggers that cause people to take action. You have to watch the video to get the full value of what he has to offer. It’s really good stuff. Certainly worth the 30 minutes it will take to watch this video: https://yj227.isrefer.com/go/sideways/r20085. There’s gold in that there video. Really good stuff in a new video from Jeff Walker – all about product launches done the right way. Note: The above link is an affiliate link. At the end of this series of incredibly informative videos, Jeff is going to make you an offer on his Product Launch program. But, in the meantime, you get a ton of information from him at no charge. What a deal! Note: Jeff made a video about how book authors can use the Product Launch Formula. Check it out here: https://yj227.isrefer.com/go/authors/r20085.